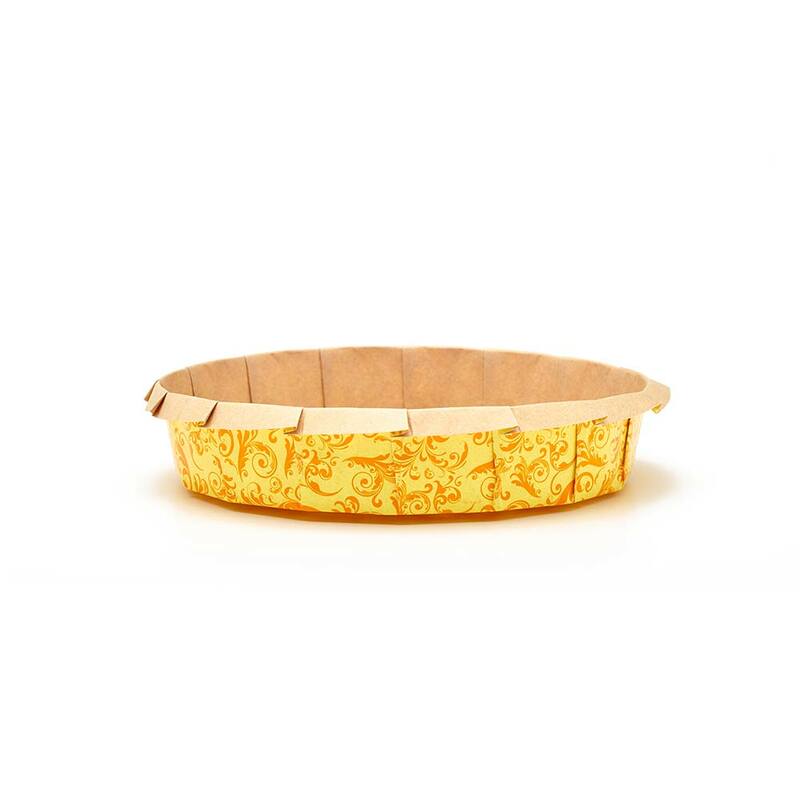 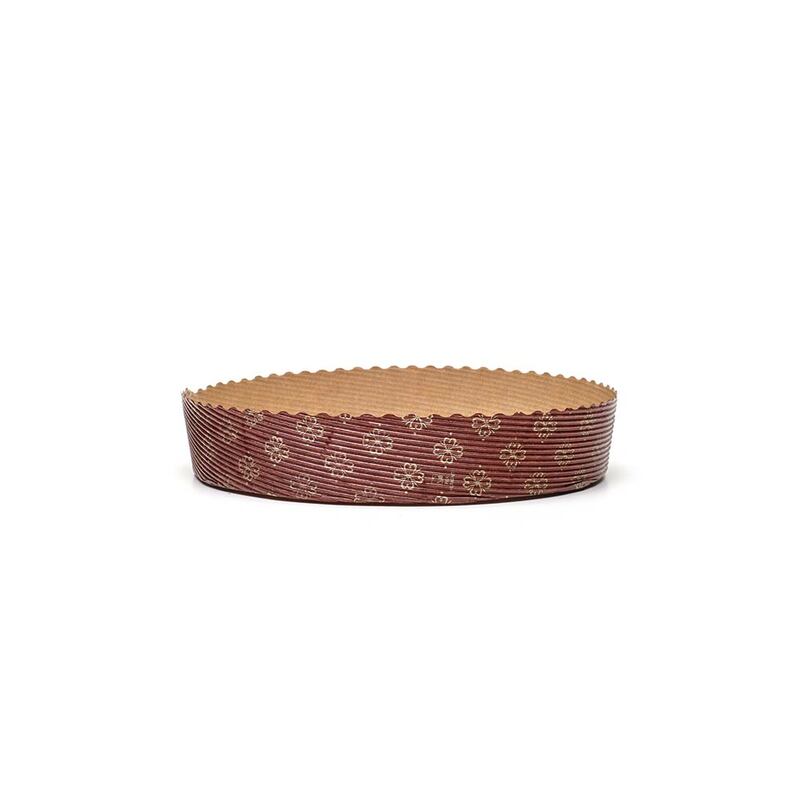 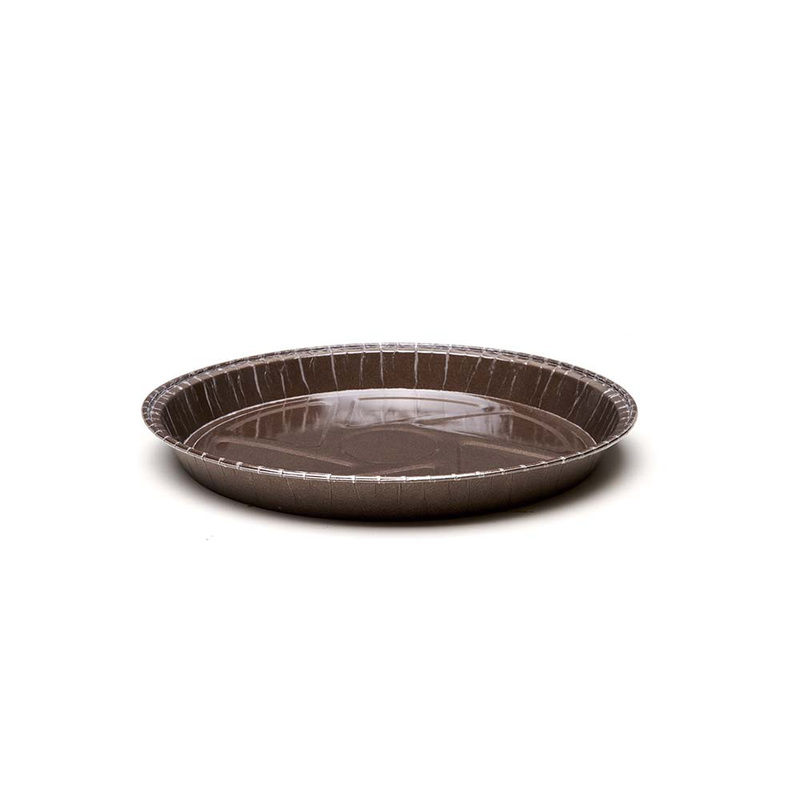 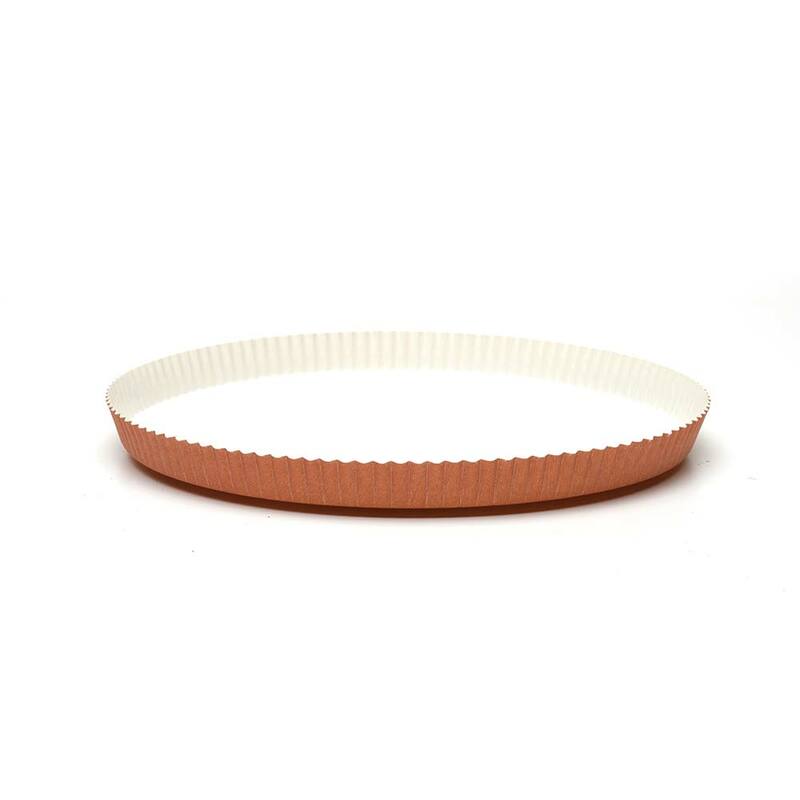 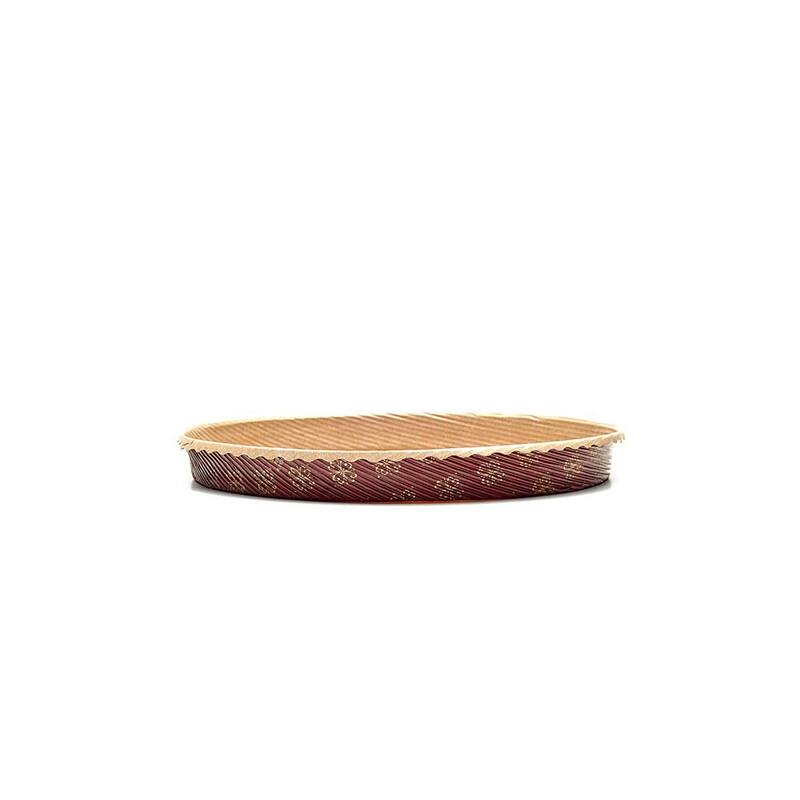 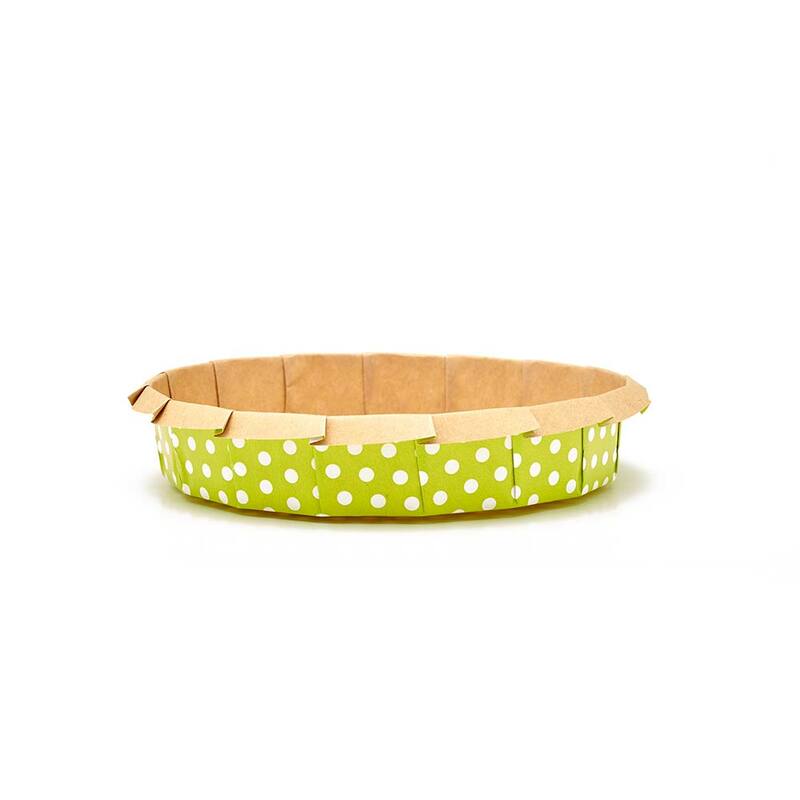 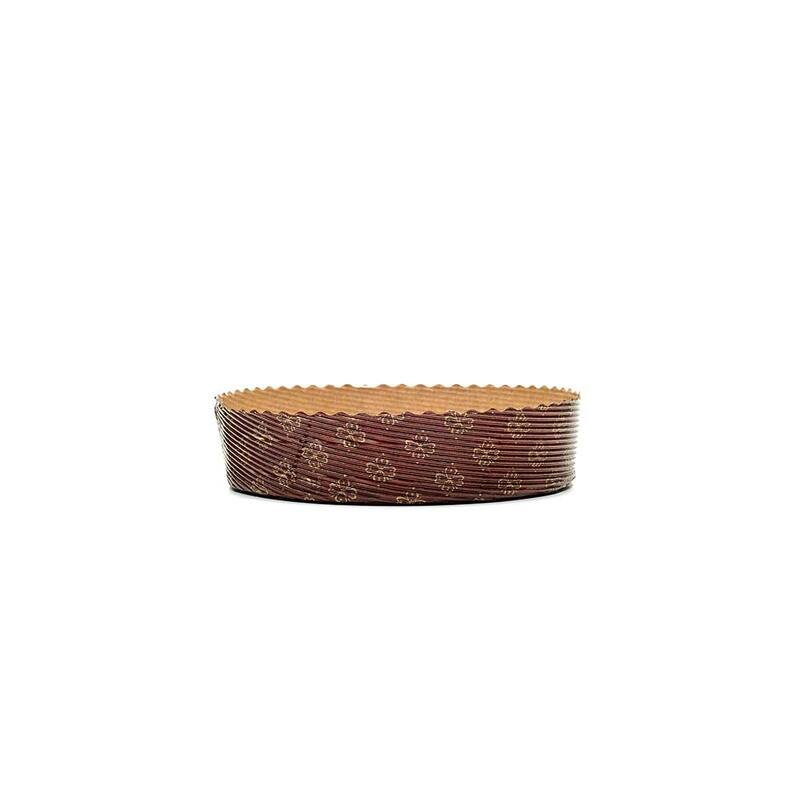 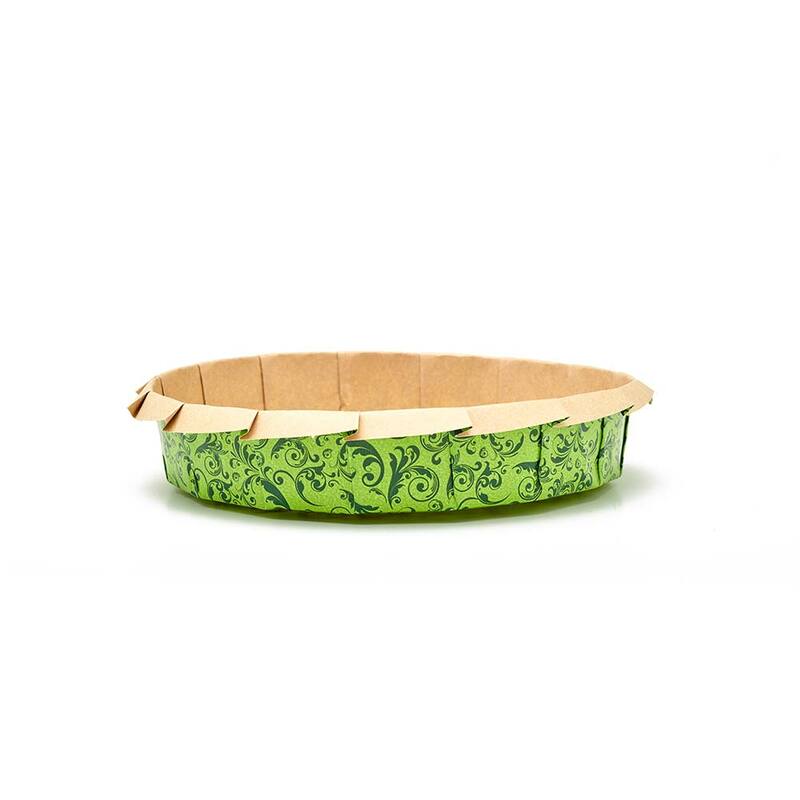 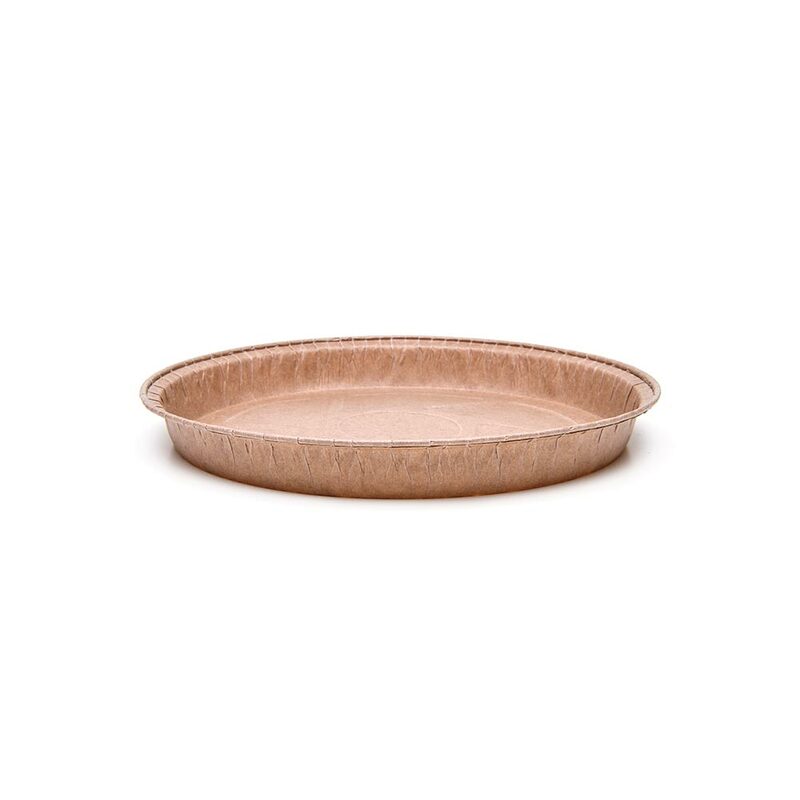 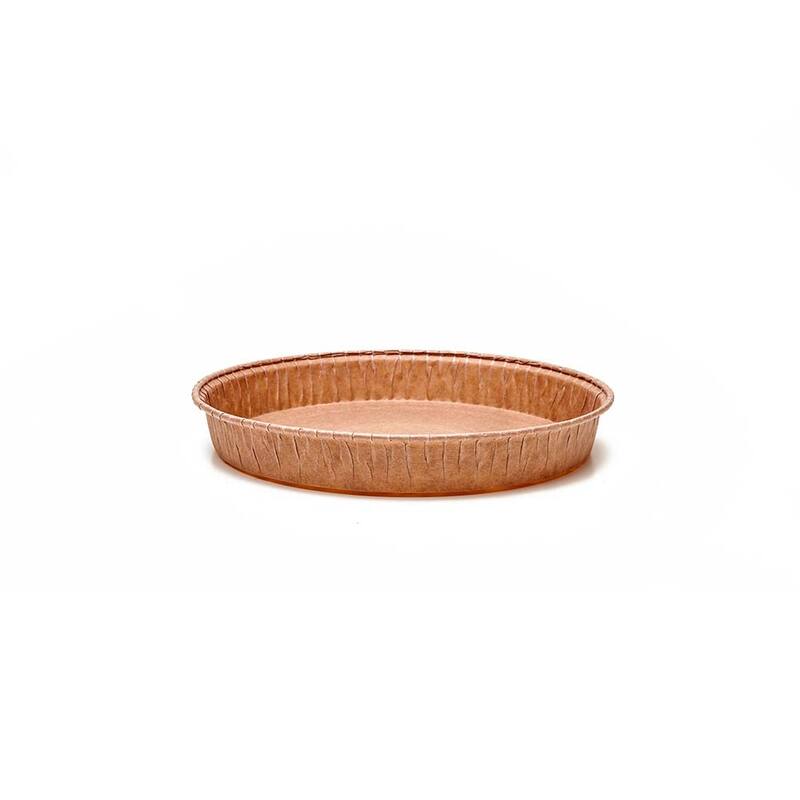 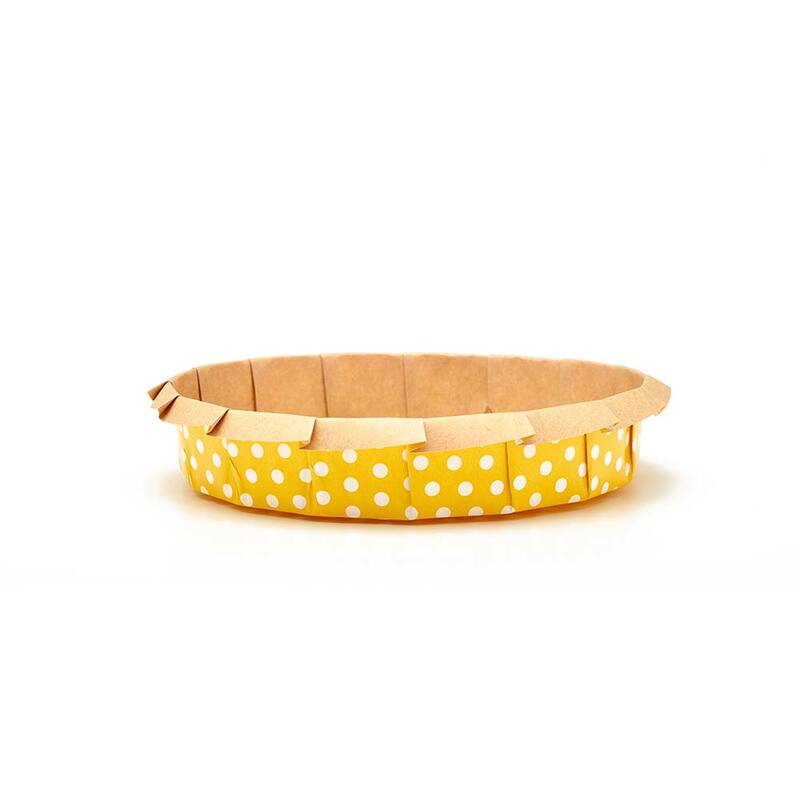 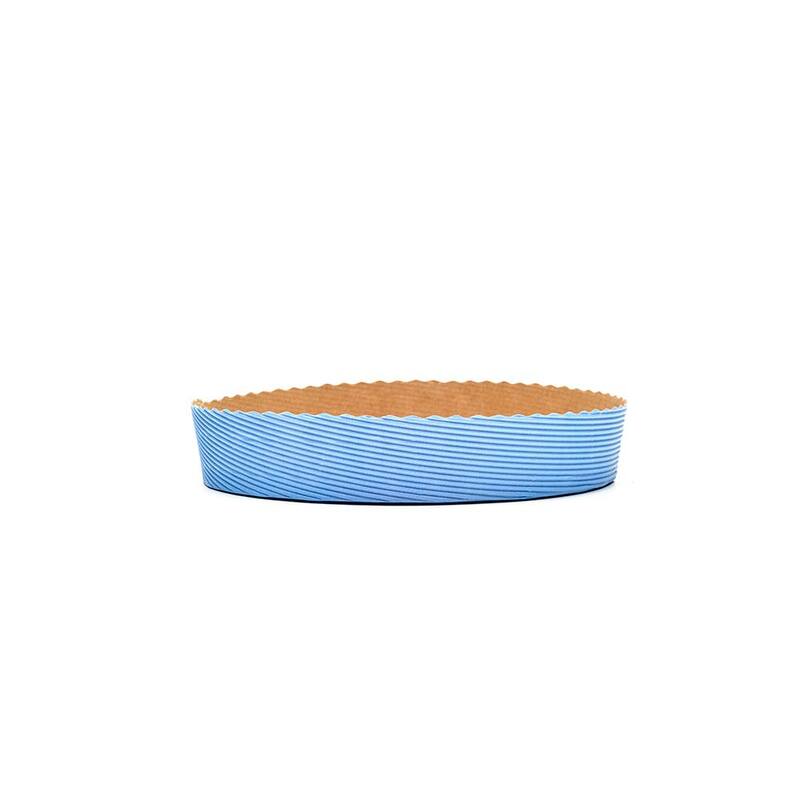 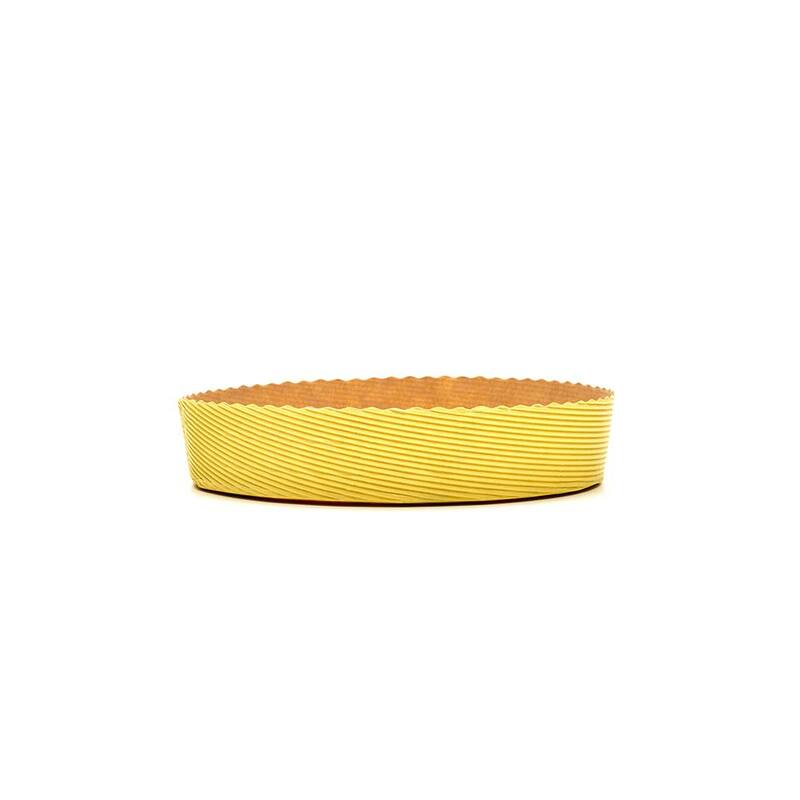 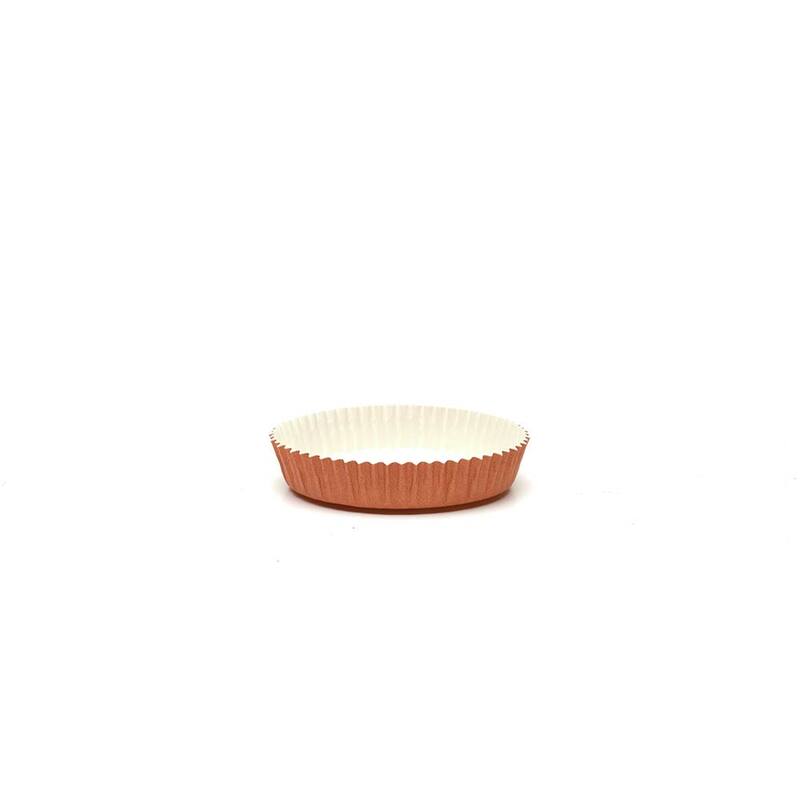 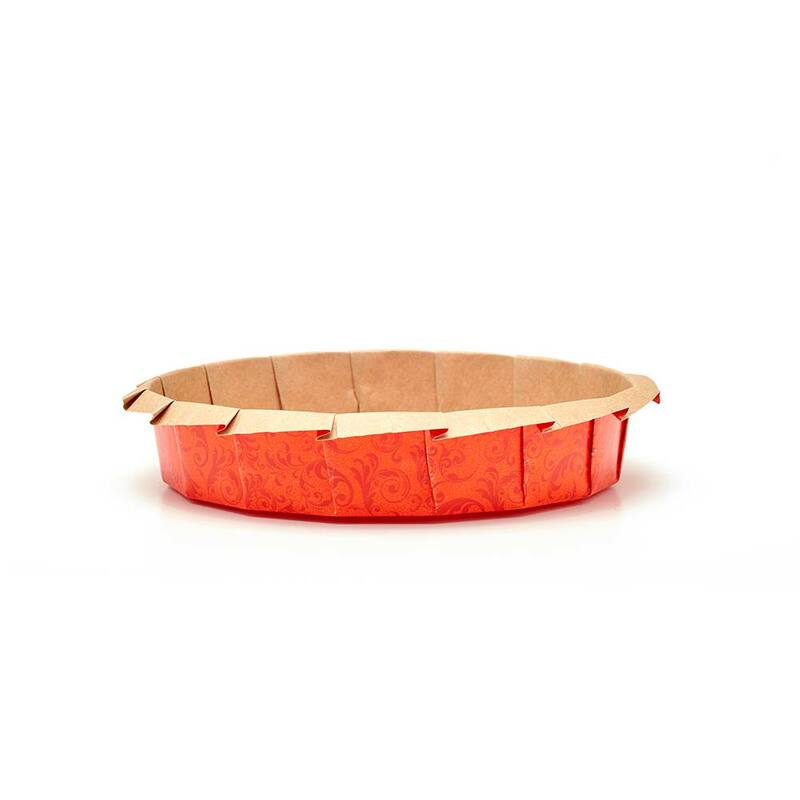 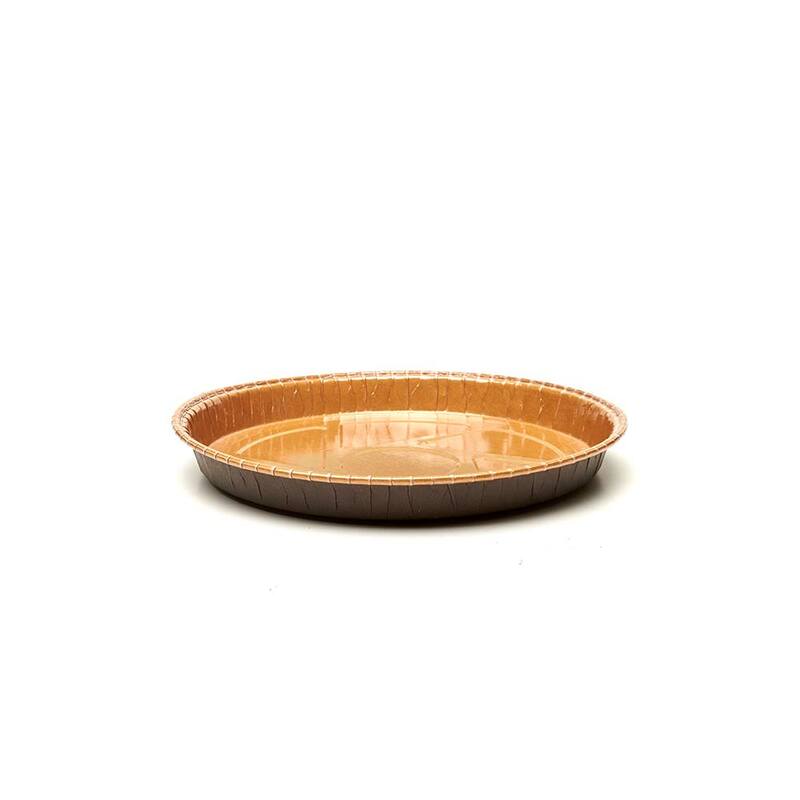 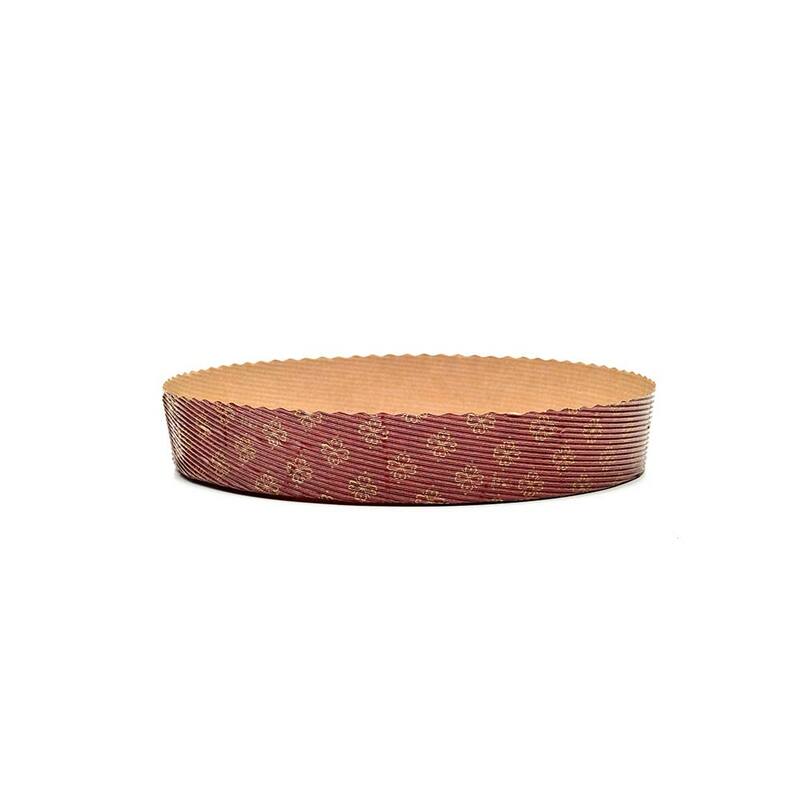 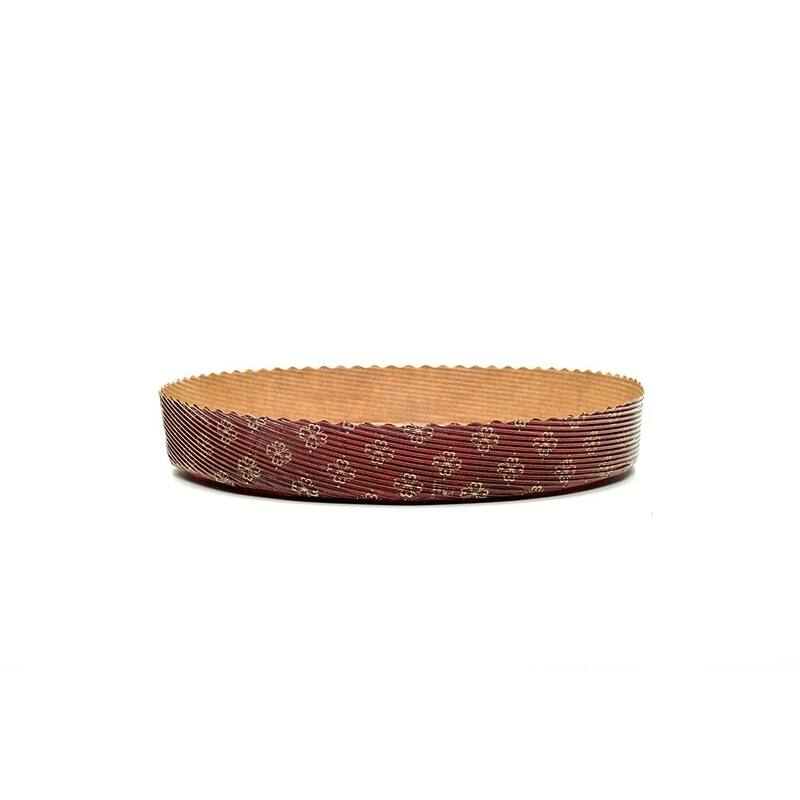 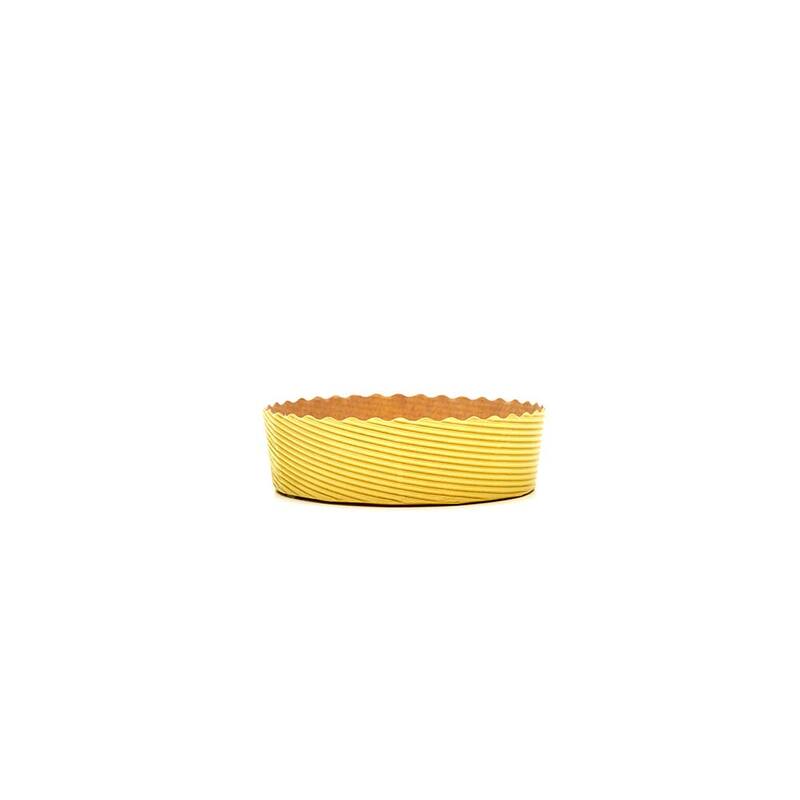 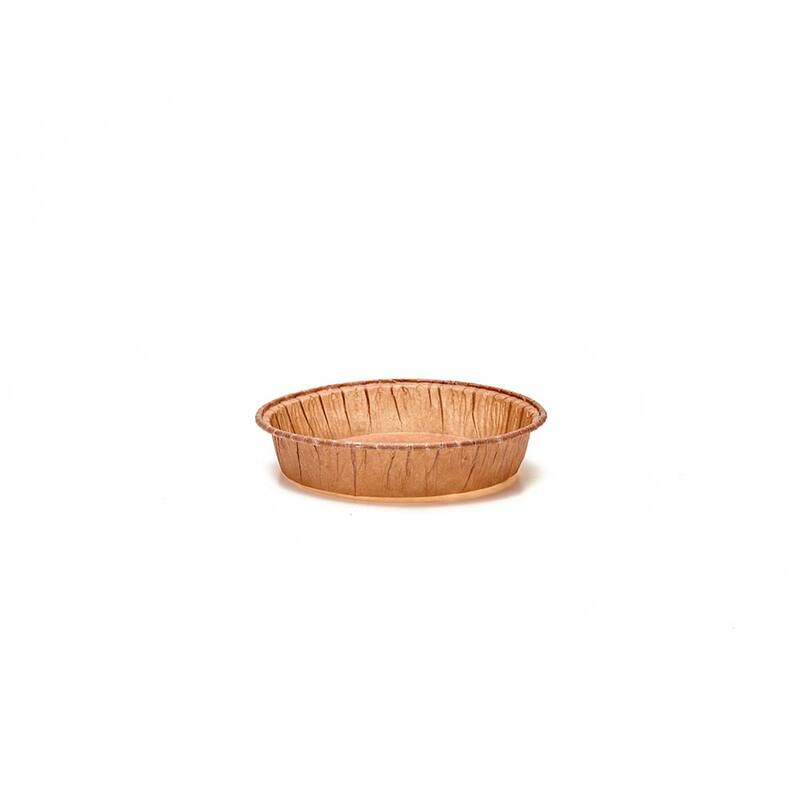 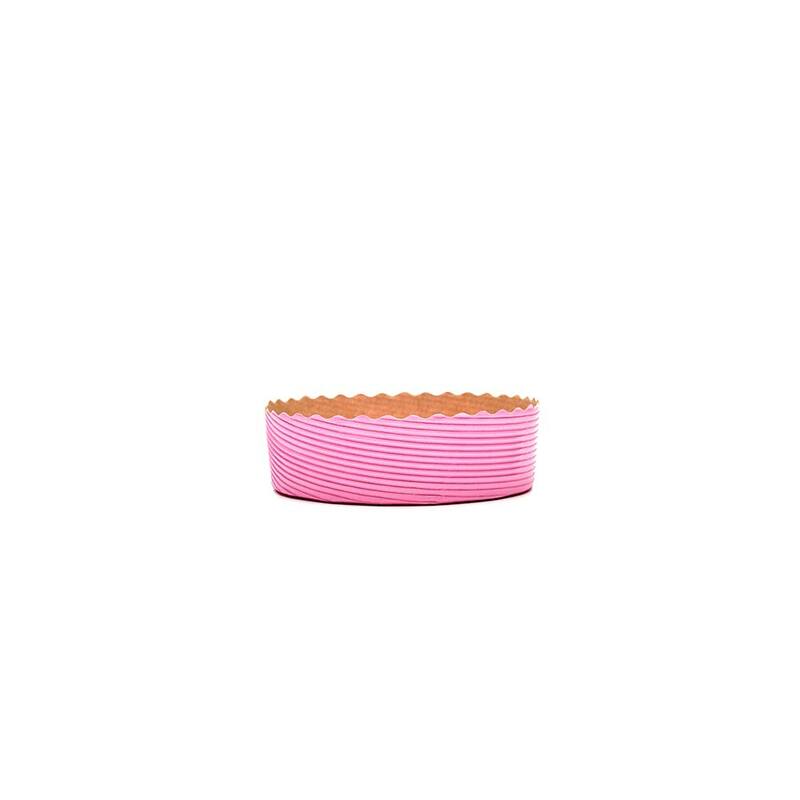 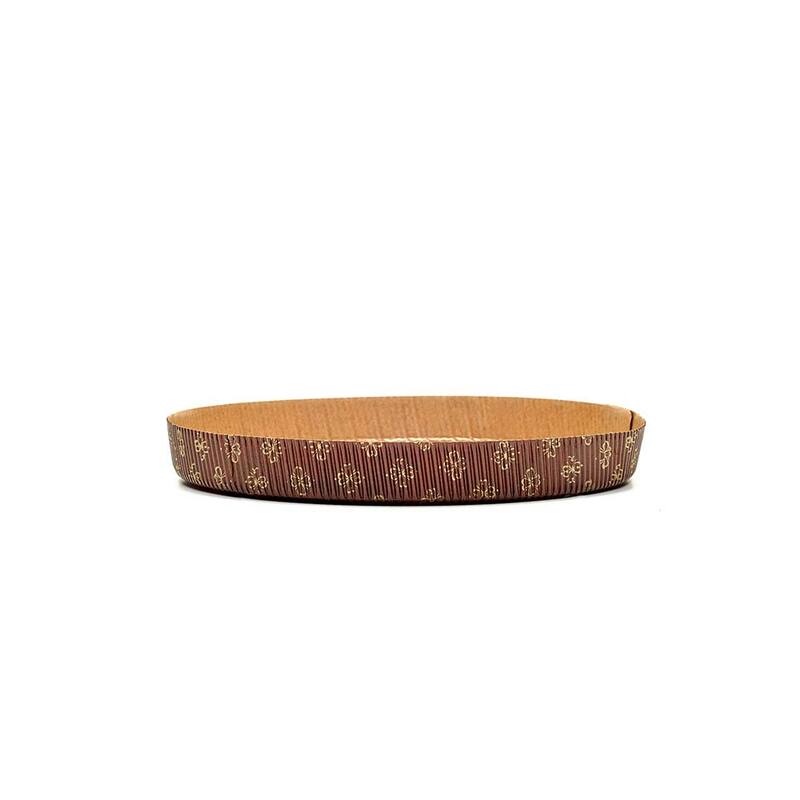 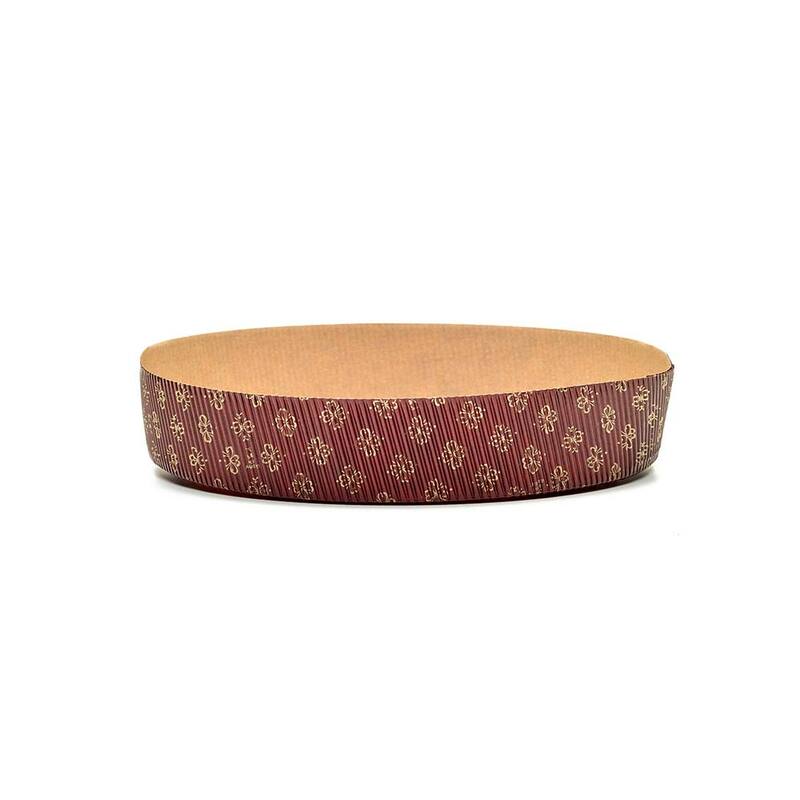 Baking mold for tarts in pure microwave cellulose paper, with external color brown, gold floral print and inner ecru color, for 700 grams of product. 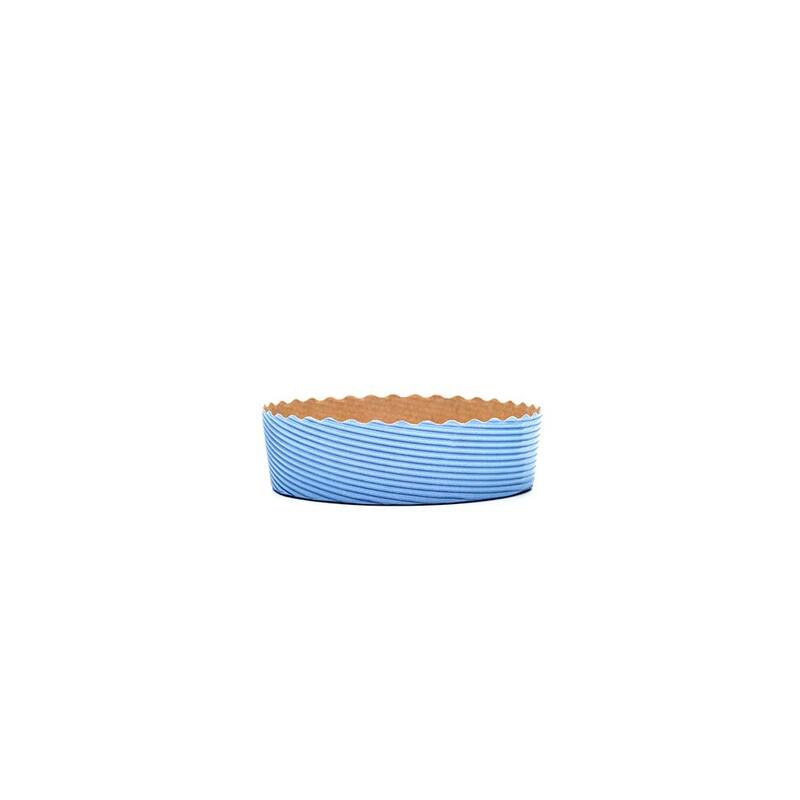 The single-dose MBB 210 H 25 baking mold is a paper baking shape designed for the production of cakes, but also suitable for other types of dough. 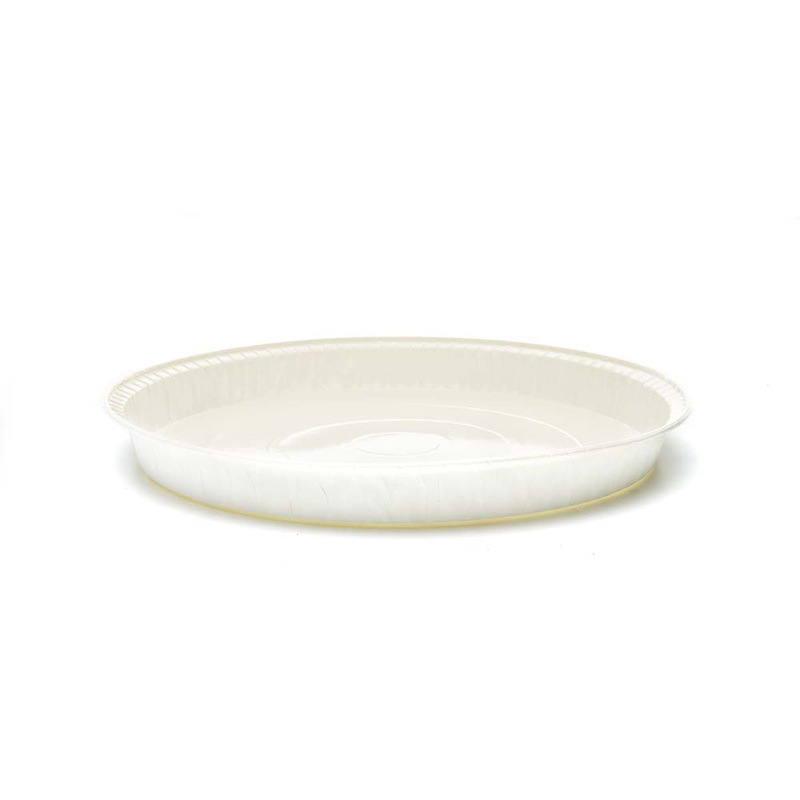 The pure cellulose paper in microwave is resistant to food fats and can withstand both freezing and baking up to 220°C. 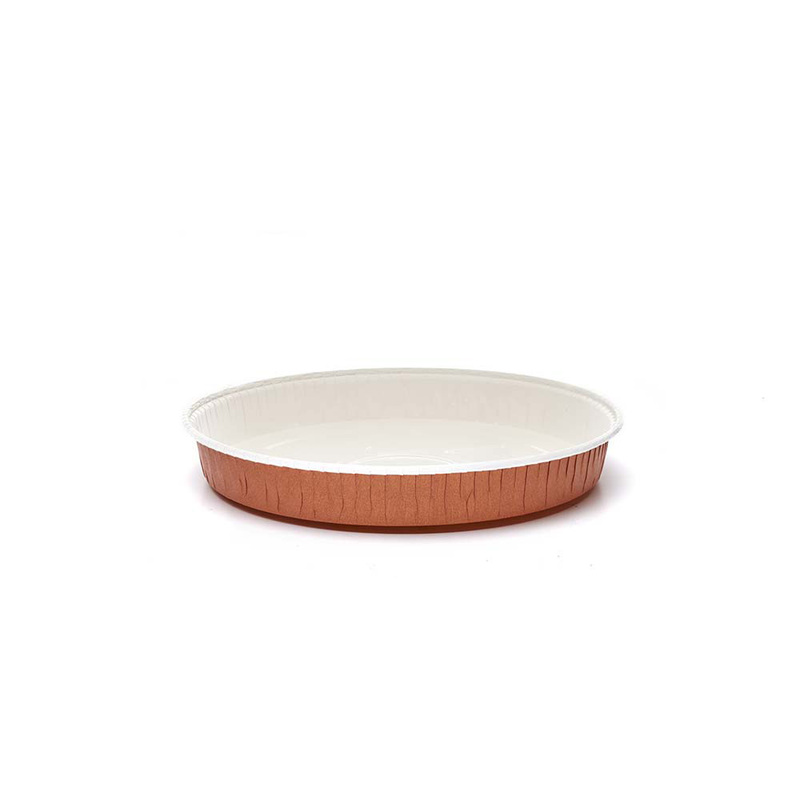 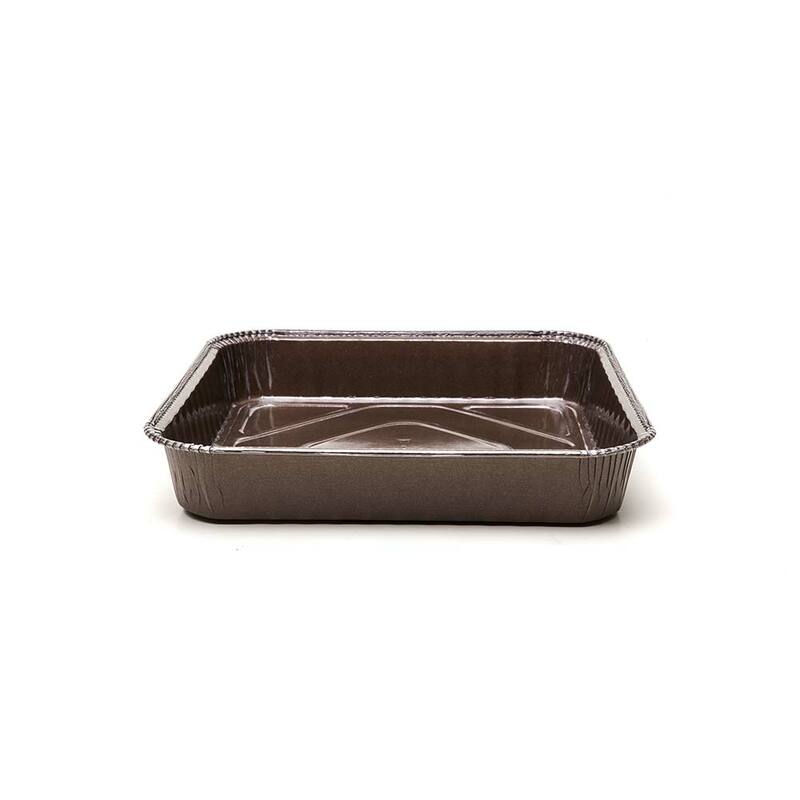 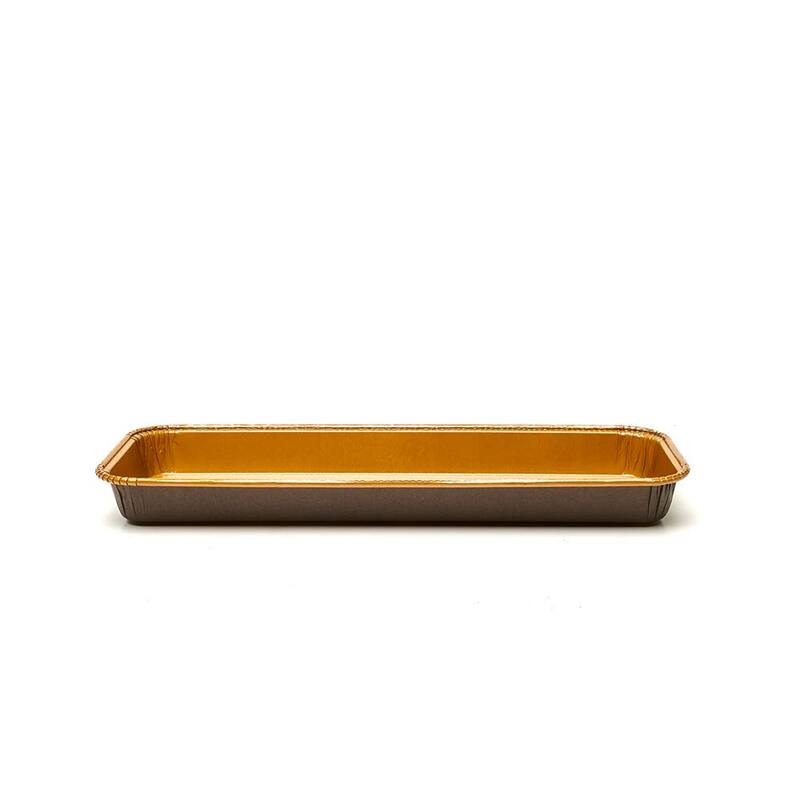 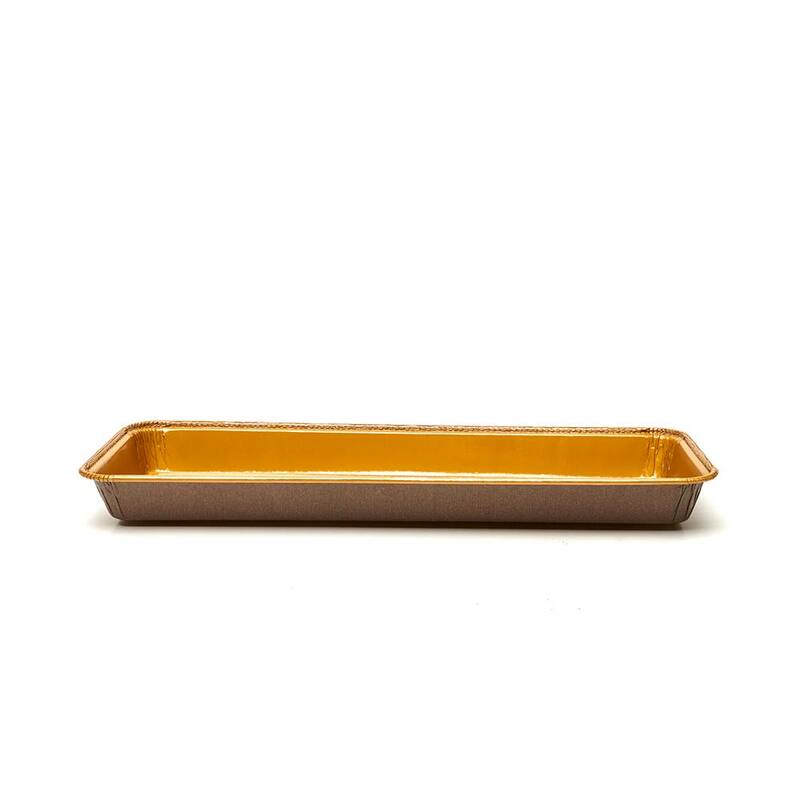 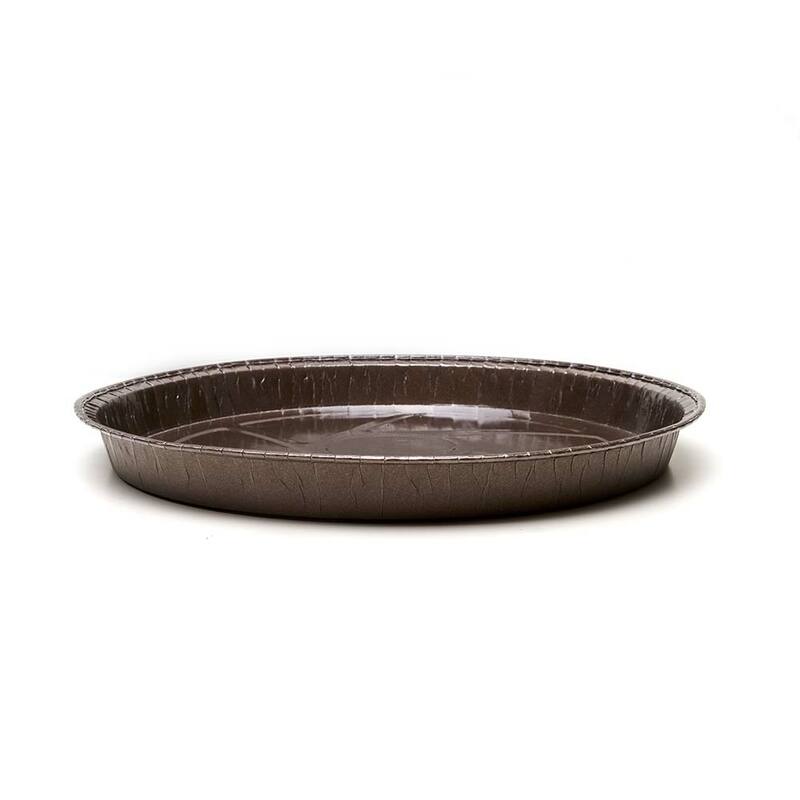 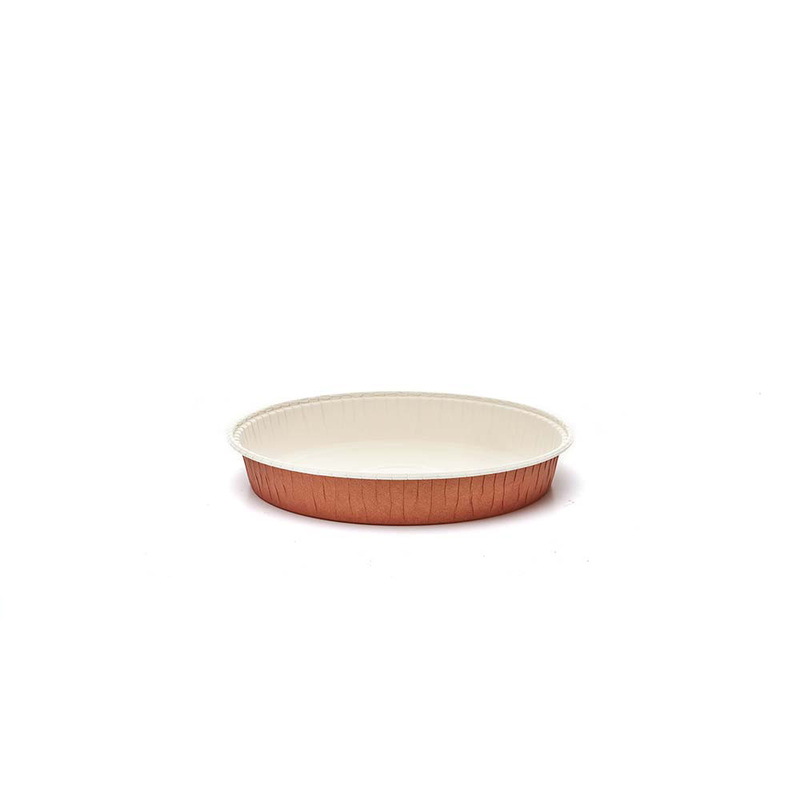 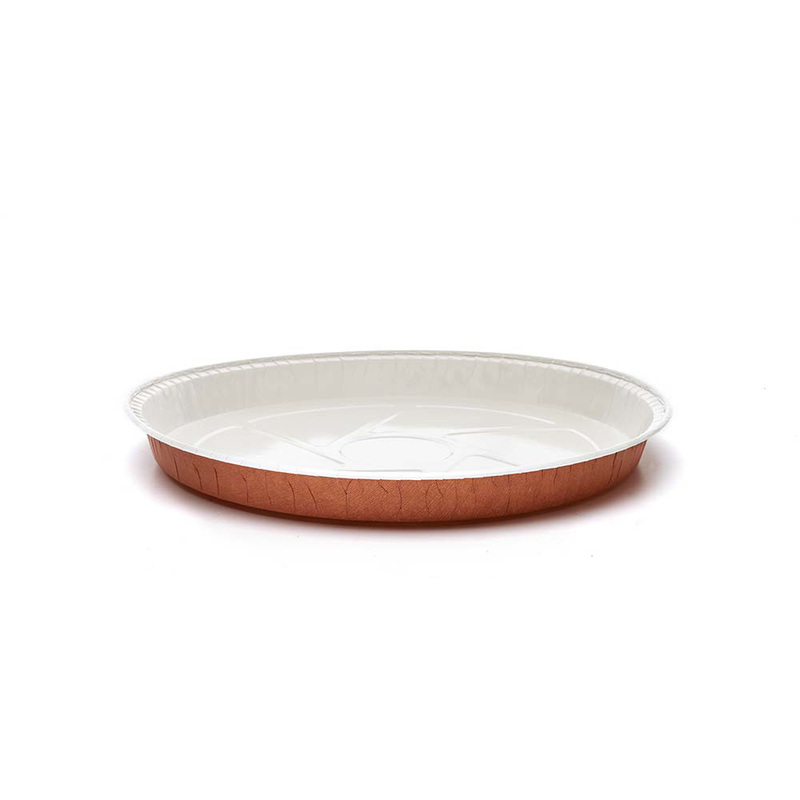 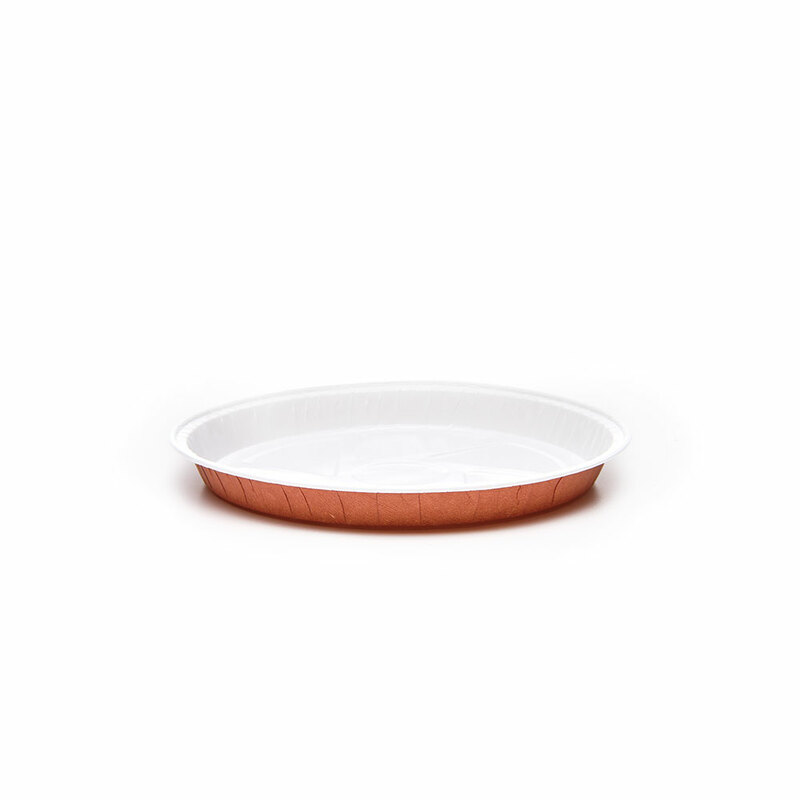 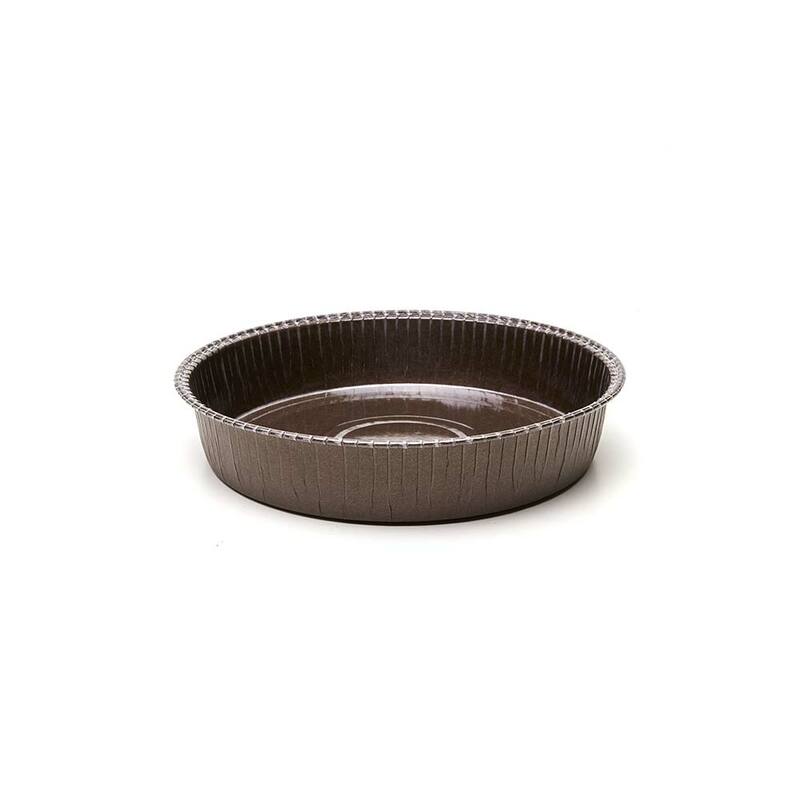 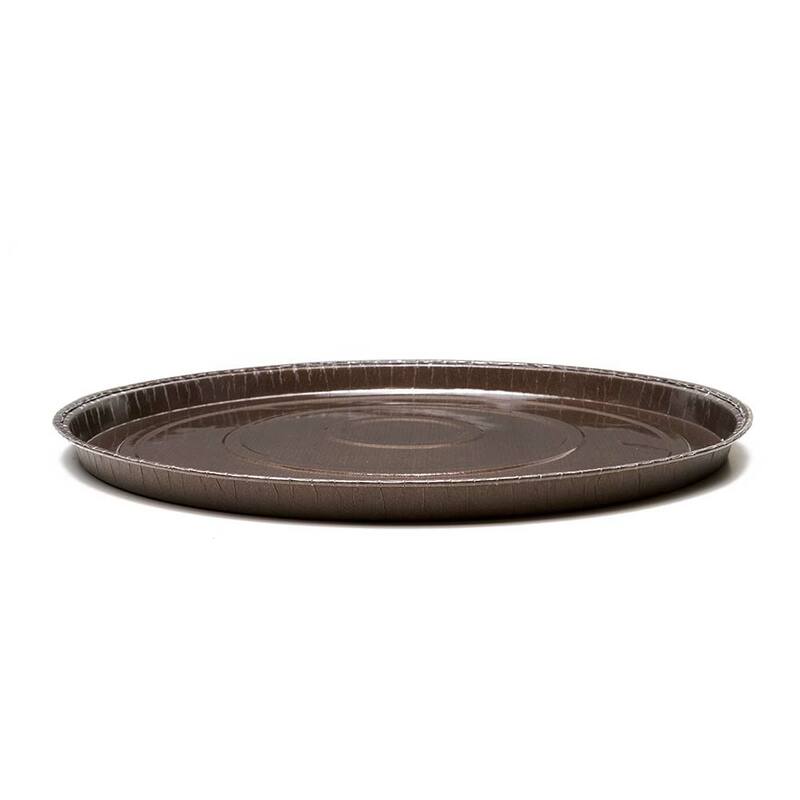 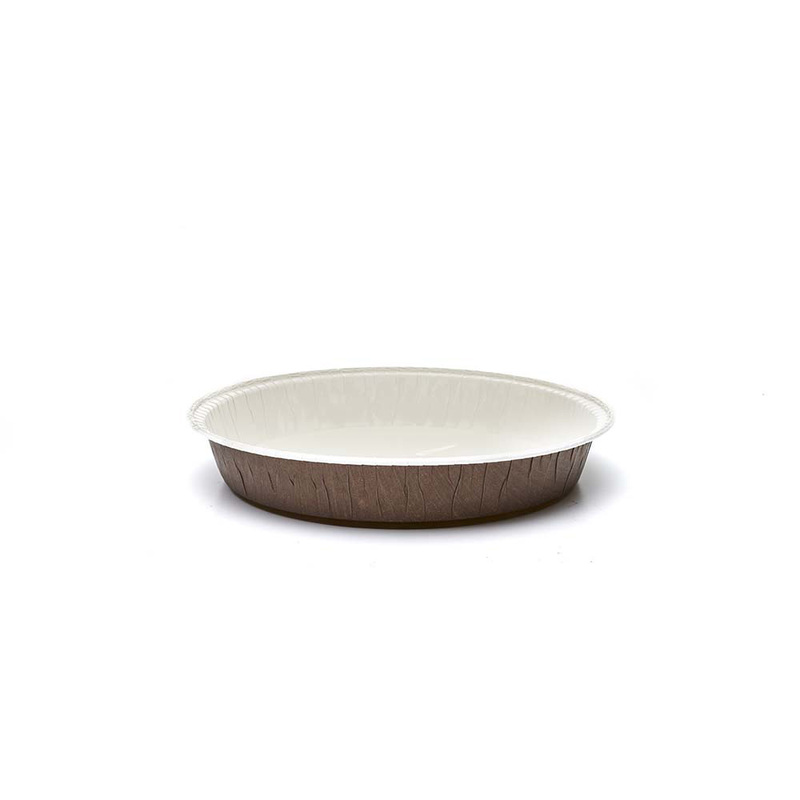 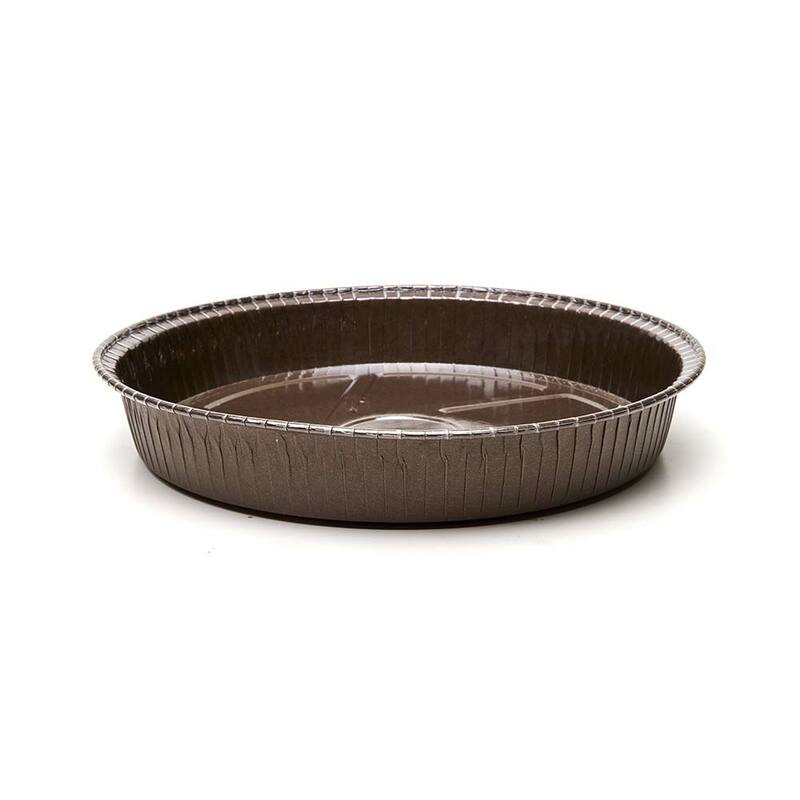 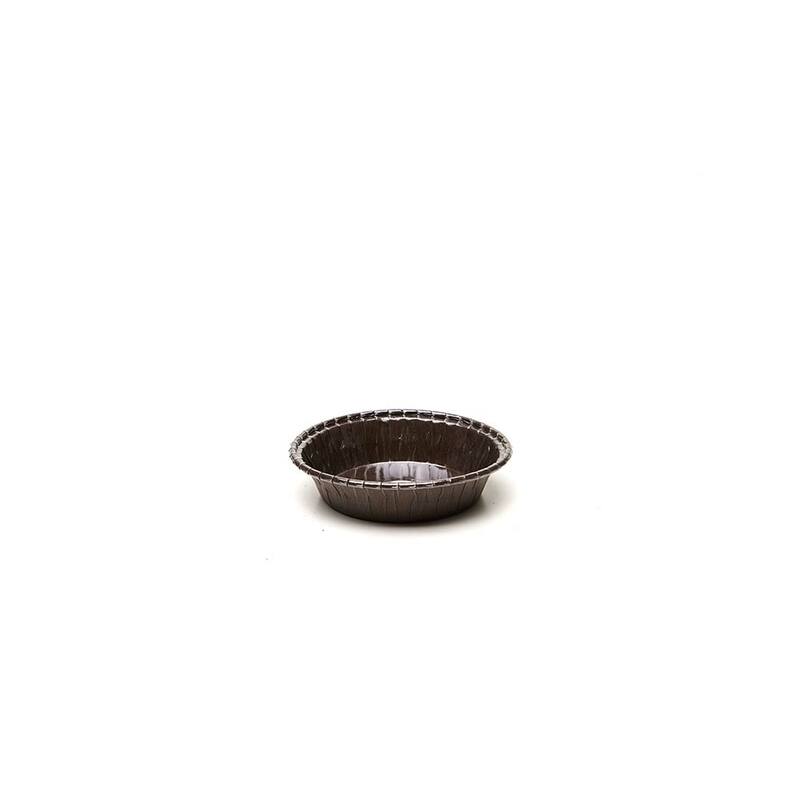 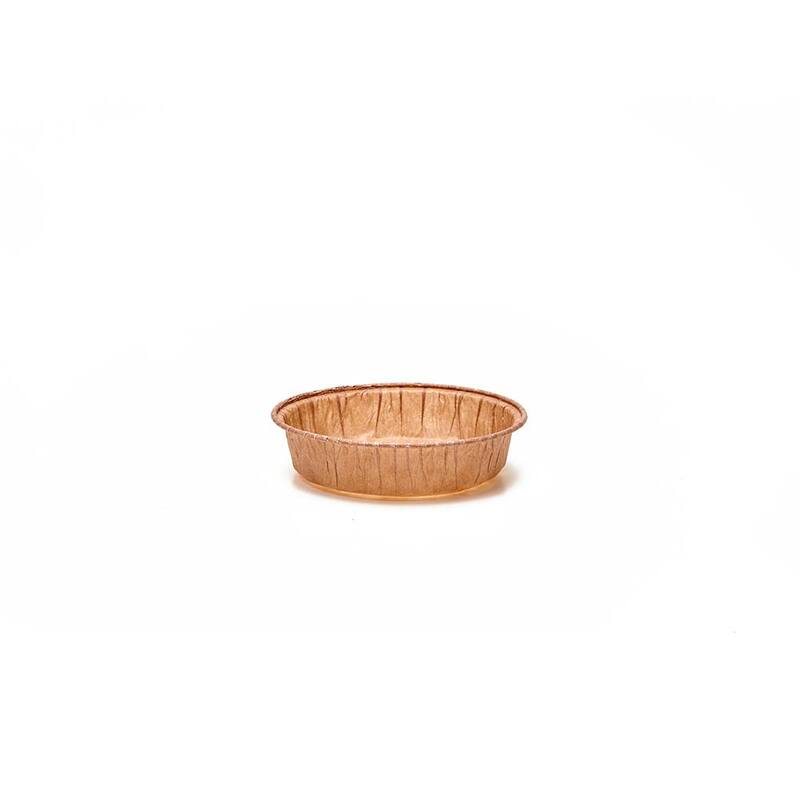 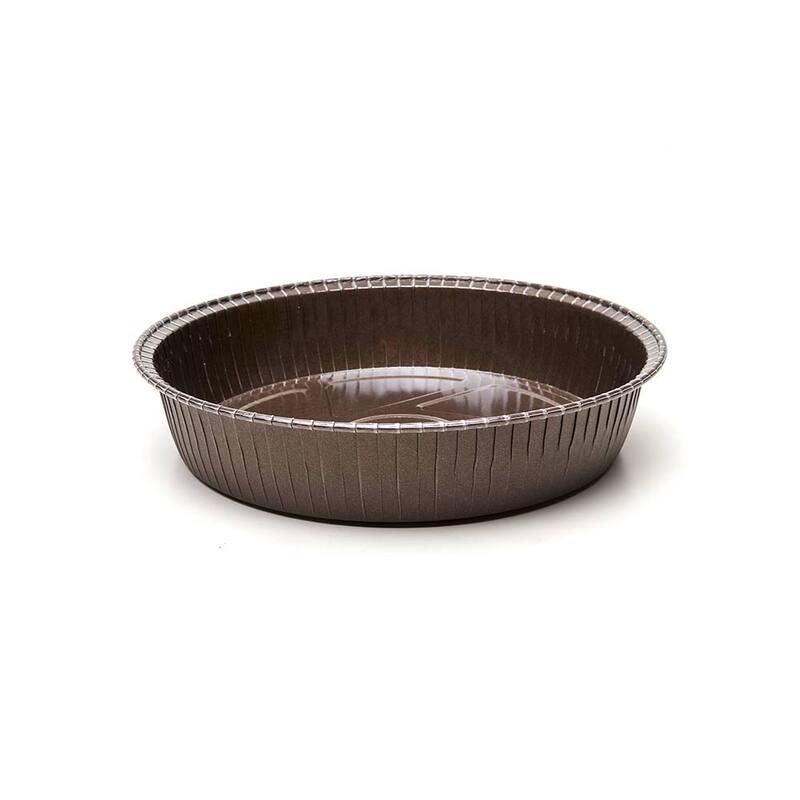 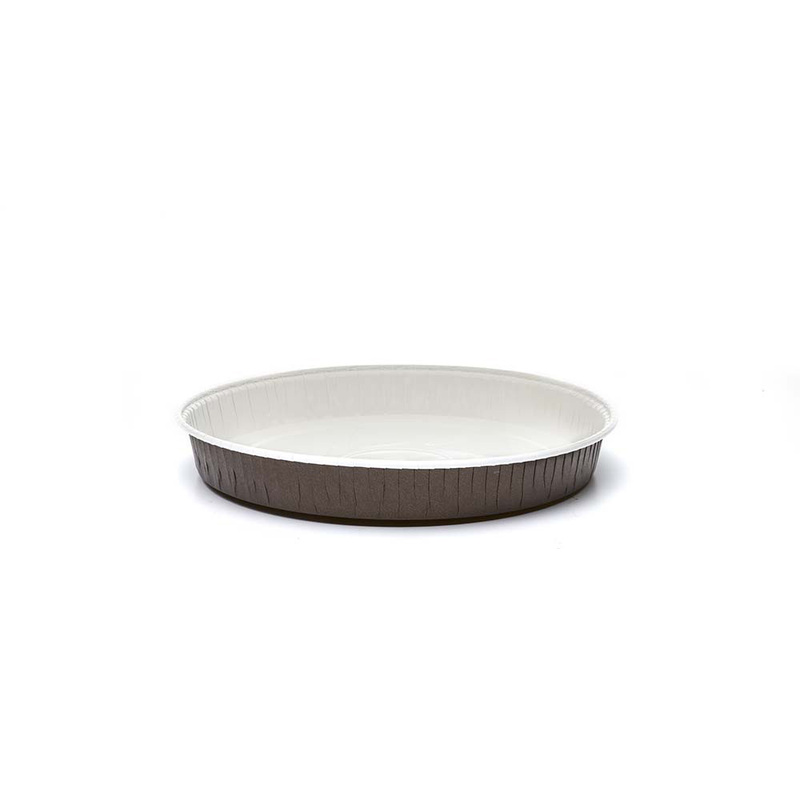 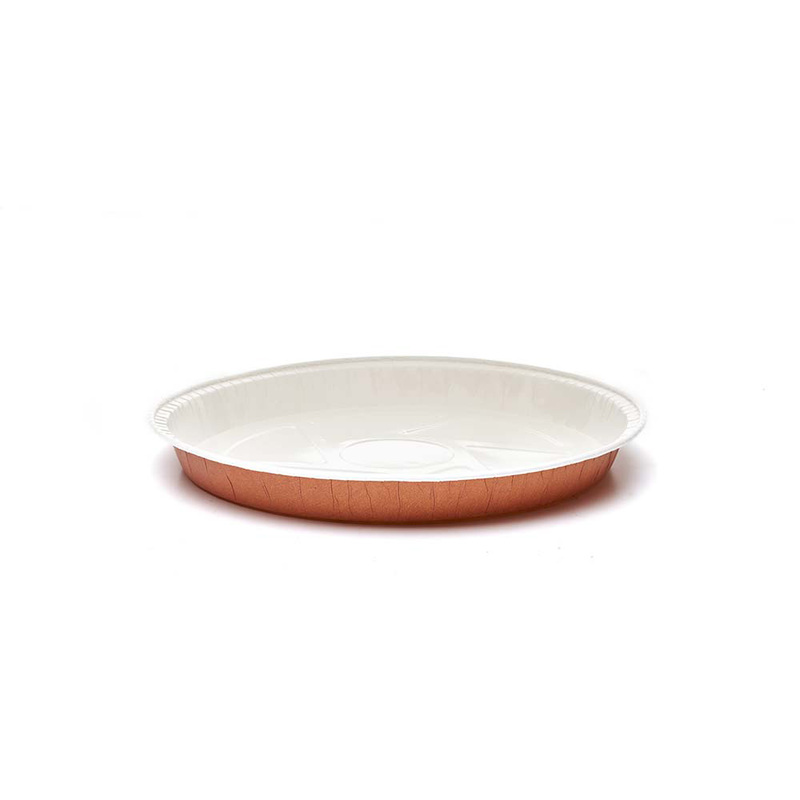 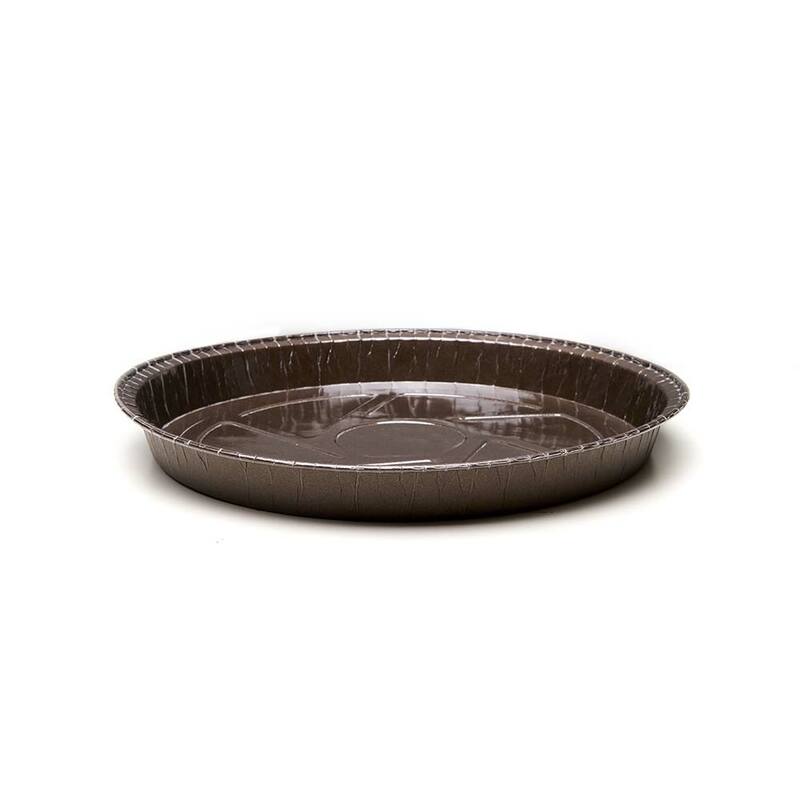 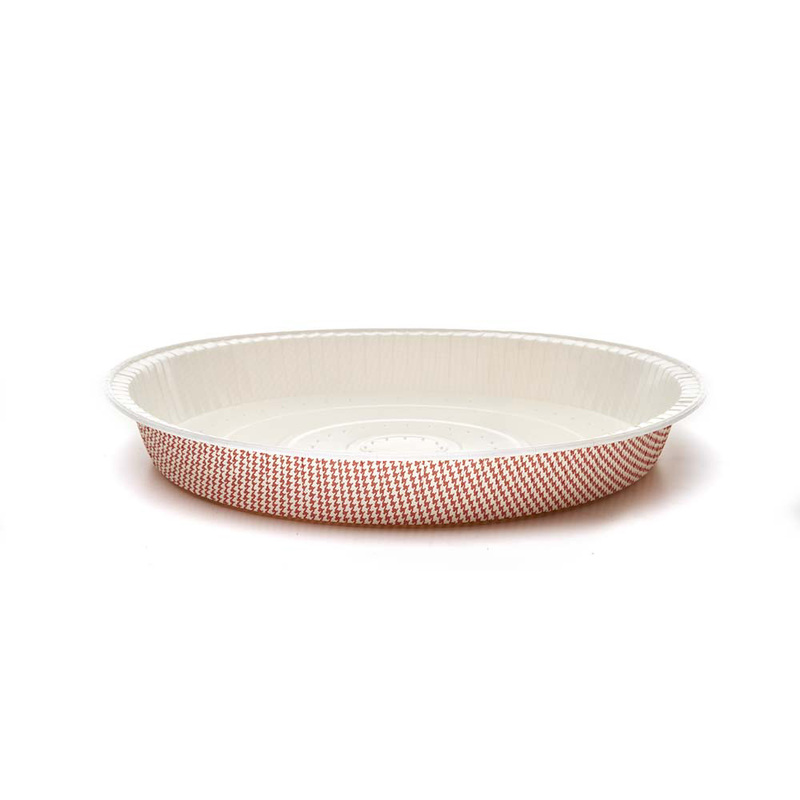 This baking mold is recyclable, it must not be buttered before use and thanks to its particular self-supporting structure it does not need to be inserted into preformed metal molds. 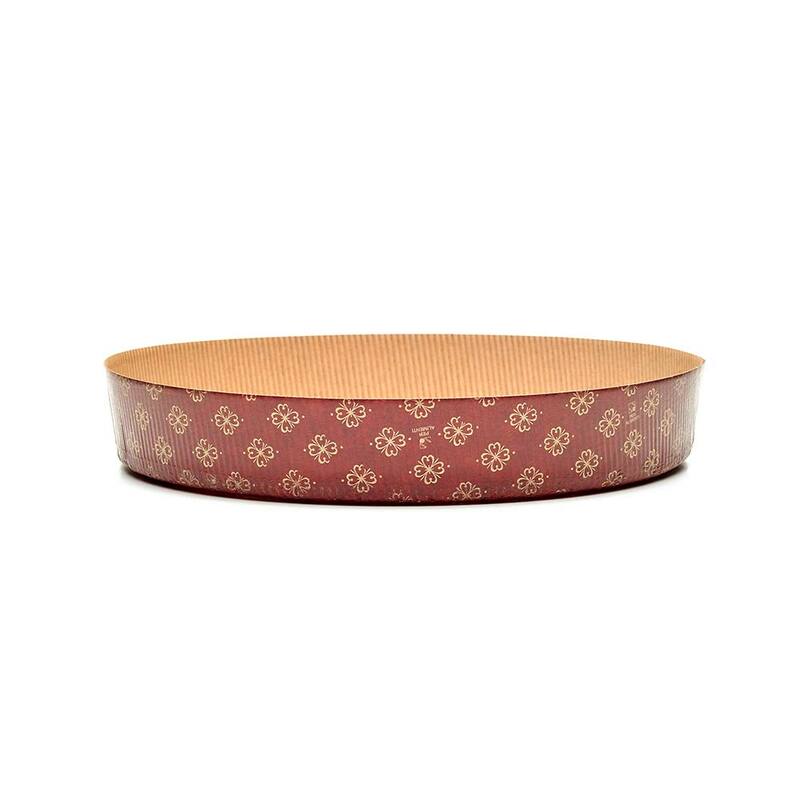 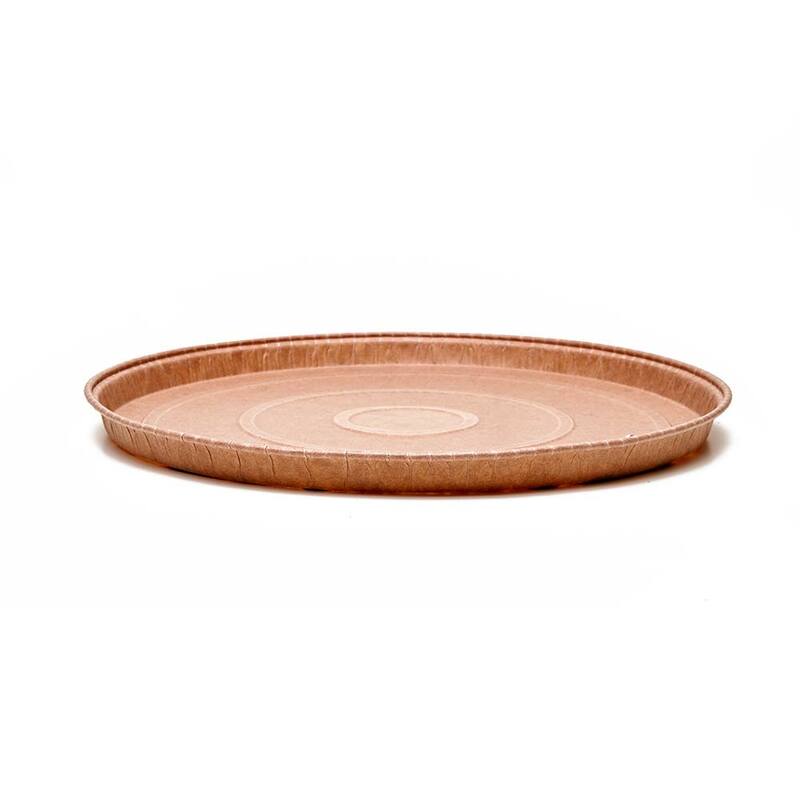 The elegant design, brown with golden floral decoration, makes it suitable for the presentation of the finished product.